Fashion Revolution, a global network focused on fair trade clothing, marked Fashion Revolution Day this year with an interactive booth in Berlin. On April 24 it was two years since the collapse of the Rana Plaza garment factory on the outskirts of Dhaka, Bangladesh, killing 1129 workers. 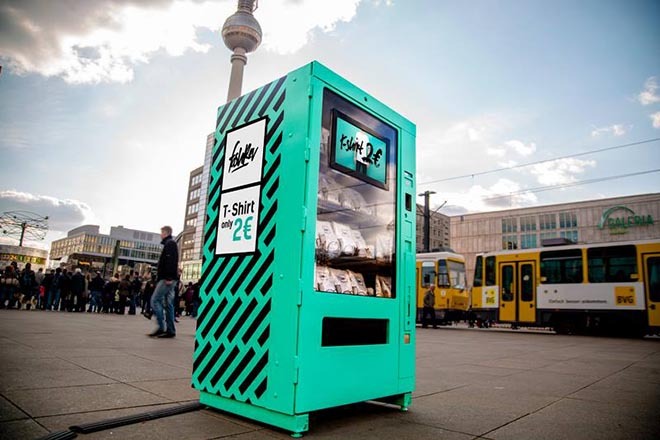 A turquoise vending machine was placed in the middle of Alexanderplatz in Berlin promoting a bargain, “T-Shirts only 2 Euros”. Insertion of 2 Euros led to a video being played showing the realities behind the scenes in which women and children sew in textile factories without a break. They are paid only 13 cents per hour in addition to working under life-threatening conditions. After 20 seconds an option appears on the display: ‘Buy or Donate’. Consumers are faced with a decision. Do you really want to buy the t-shirt? Or would you rather donate the 2 Euros? The reaction was strong. “I did not know under which conditions fashion is produced. I am really shocked.” “It’s not fair for the factory workers to be paid only 13 cents per hour. 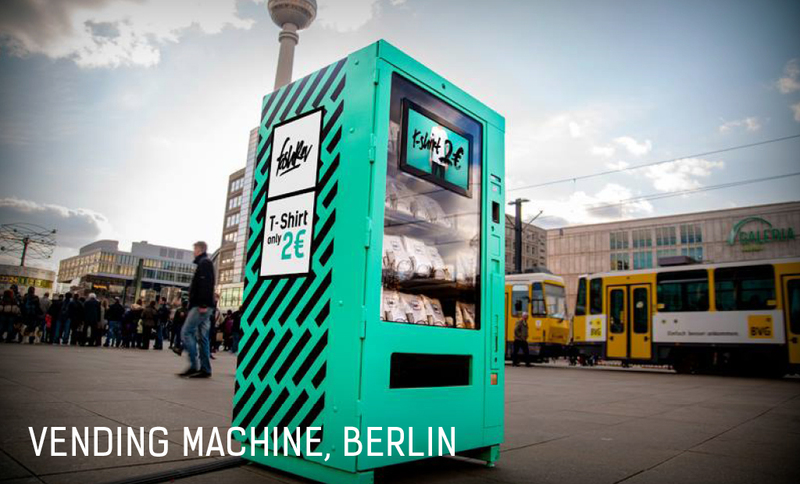 It’s impossible to live on that.” “Well, now I will be more cautious of where my clothes are produced.” The reactions at the vending machine are unambiguous: 90 percent of the 150 people who initially wanted to buy cheap t-shirts at the machine decided against a purchase. The global campaign includes a range of posters and digital banners. 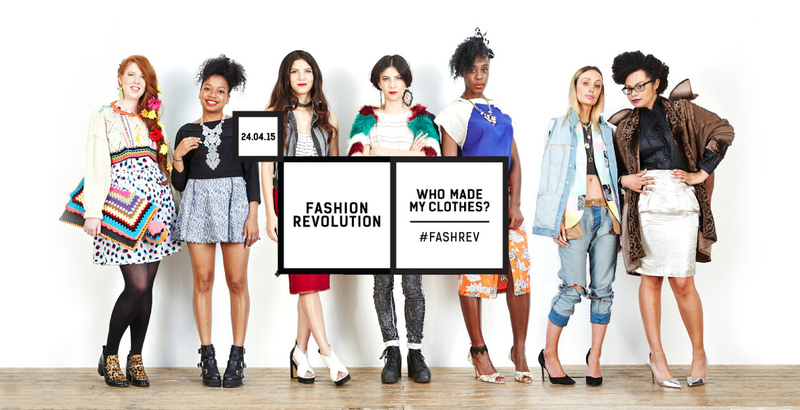 Shoppers are encouraged to be curious, find out and do something, including publicly asking brands about the origins of their clothes. 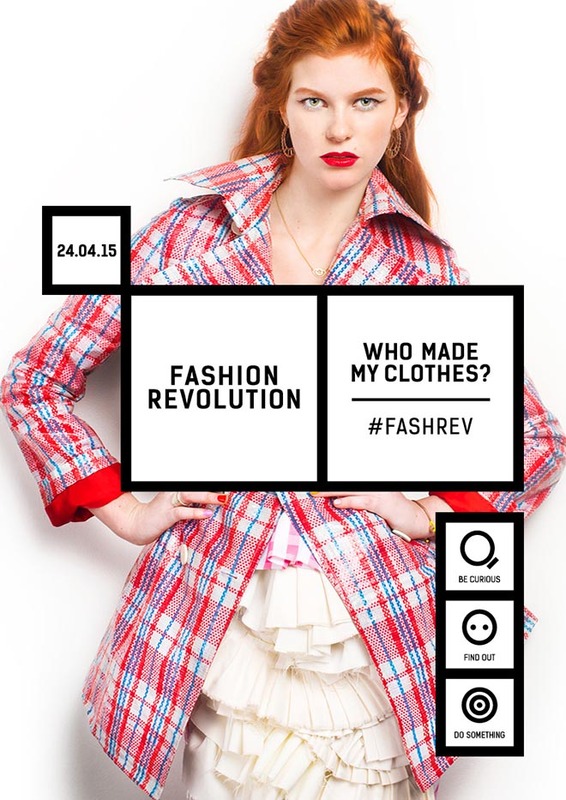 The campaign hashtags: #FashRev and #Whomademyclothes. Digital and app production was done at unit9 by senior interactive developer Kamil Chruscinski. Filming was produced at unit9 Berlin by director Robert Bader, directors of photography Alessandro Rovere and Kevin Krefta, photographer Christian H. Hasselbusch, executive producer Stefan Bader, technical manager Maciej Zasada. Editor was Kevin Krefta at CraftWork. Photography was by Rachel Manns. Music is “Flying Journey” by Second Surprise.